Helen obtained her PhD in Cell Biology at the Paterson Institute in Manchester, UK working on the structure and function of the nuclear pore complex. She gained postdoctoral experience working first on chromatin organization as a Marie Curie Fellow at the Netherlands Cancer Institute in Amsterdam, The Netherlands, followed by aberrant signaling pathways in cancer at the Whitehead Institute, MA. During her academic career she published as a first author in Cell, Nature Genetics and Journal of Cell Biology. Prior to setting up as an independent editor in 2004 and subsequently founding Life Science Editors, she was an editor at Developmental Cell for a year. More recently she was an editor at Science for five years, including handling papers at Science Translational Medicine. Angela obtained her PhD in Molecular Genetics at the University of Toronto, Canada, studying catalytic RNA and RNA folding. Her postdoctoral research focused on X chromosome inactivation at the University of California, San Francisco, CA. 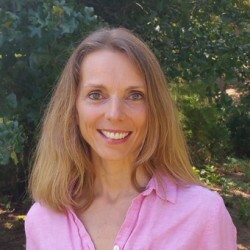 She has additional research experience studying signaling and epigenetics in the context of colon cancer and breast cancer metastasis at the Huntsman Cancer Institute, UT and the Oklahoma Medical Research Foundation, OK. Angela has contributed to numerous articles in a variety of fields, including first author publications in Molecular Cell, PNAS, and Nature Structural & Molecular Biology. Before founding Life Science Editors, she was an independent editor and an editor at Cell for four years. Brandi obtained her PhD in Behavioral and Neural Sciences from Rutgers University (Newark, NJ) studying the motivational neural circuitry during maternal behavior in natural and drug-induced states. Her postdoctoral research assessed the molecular and cellular changes that occur following psychostimulant administration at the National Institute on Drug Abuse (Baltimore, MD). She was a group leader in neocortical microcircuitry and autism (EPFL – Brain Mind Institute, Lausanne, Switzerland) and studied human decision-making in neurological diseases (Baylor College of Medicine, TX). 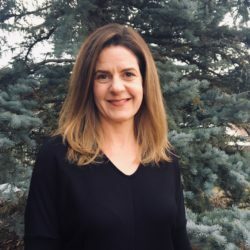 Brandi has three senior author publications and authored publications in various neuroscience journals, such as Nature Neuroscience, Frontiers in Human Neuroscience, Journal of Neurochemistry, European Journal of Neuroscience and Neuroscience. Brandi was an editor at Neuron and served in research administration at Houston Methodist-Cornell Weill Research Institute and University of Texas M.D. Anderson Cancer Center. She joined Life Science Editors in 2015. Guy obtained his PhD in Molecular Biology at the Medical Research Council’s Laboratory of Molecular Biology in Cambridge, UK, working on ecdysone and heat shock gene regulation. His post-doctoral research, at the Imperial Cancer Research Fund’s Developmental Biology Unit in Oxford, delved into pattern formation during Drosophila development. During his academic career, Guy contributed to papers in Genes & Development, MCB, and EMBO J. Guy was an editor at Nature, and launched and edited Nature Structural Biology (now Nature Structural and Molecular Biology). He then became an editor at PNAS, and finally a senior editor at Science for sixteen years. Guy handled papers in many areas of biology, including molecular biology, biochemistry, cell biology, structural biology, molecular evolution, etc., and has also written articles and reviews for the popular and scientific press. 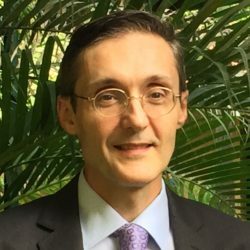 He joined Life Science Editors in 2017. Katrina obtained her PhD in Molecular Biology at the Friedrich Miescher Institute for Biomedical Research in Basel, Switzerland, studying the role of the RNA interference (RNAi) machinery in fission yeast gene regulation. As a postdoc at the Institute of Molecular Biotechnology in Vienna, Austria, she continued studying nuclear RNAi mechanisms at a genome-wide level. Katrina has contributed to numerous articles, including first author publications in Nature Structural & Molecular Biology and Genes & Development. 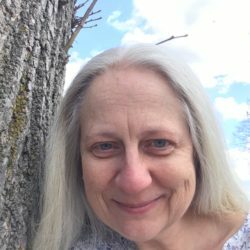 Making the switch to science publishing in 2015, she completed a locum position as an editor at Nature Structural & Molecular Biology, and then became a freelance scientific editor and writer. She joined Life Science Editors in 2018. Kiki obtained her Ph.D. in Neurobiology at the Mount Sinai Medical Center (New York City) where she worked with Dr. Joseph Buxbaum on the cellular biology of Alzheimer’s disease-related proteins. Her postdoctoral work investigated angiogenesis as an underlying mechanism of adult neurogenesis in canaries. Kiki has contributed to numerous articles published in Nature Medicine, Journal of Biological Chemistry, and other journals, with first author publications in Journal of Neuroscience. She was an editor at Cell Stem Cell for nine years before joining the Stanley Center at the Broad Institute as a stem cell program manager. She joined Life Science Editors in 2019. Becca obtained her PhD in Neuroscience at the University of Utah in Salt Lake City, Utah, USA. She studied neural prosthetics and dabbled in medical writing and education. She continued her study of neural prosthetics at the University of Pittsburgh in Pittsburgh, Pennsylvania, USA. Becca subsequently worked as a community college instructor at Klamath Community College in Klamath Falls, Oregon, USA, as a program manager in neuroscience at the University of Utah, and as a scientific, technical, and medical writer at multiple companies. 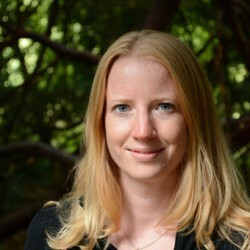 She joined Life Science Editors in 2018. Shawna obtained her PhD in Molecular Genetics at the University of Toronto, Canada studying the relationship between structure and function in catalytic RNA. She completed her postdoctoral fellowship at the Banting and Best Department of Medical Research where she used microarray technology to investigate non-coding RNA in yeast. During her academic career she initiated numerous international collaborations that led to publications in a wide variety of journals. Following her postdoctoral fellowship, she was a Professor in the School of Engineering and Applied Science at Centennial College where she worked on a number of curriculum development and applied research projects before an international move led her to establish a freelance writing and editing business. In addition to English, Shawna is fluent in Spanish. She joined Life Science Editors in 2018.